I was talking to another teacher at Chaffey High, Mrs. Vanderbeck (who used to work at Colony as well), about the bullying books I was reading this year. She told me about one she thought was great, so I asked her to write a guest blog post and share the book with you. Here it is! 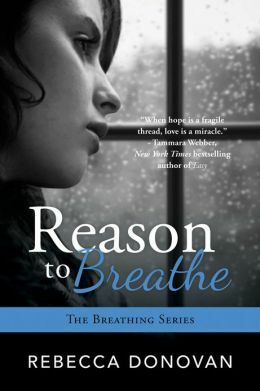 I just finished a book, Reason to Breathe, by Rebecca Donovan. It’s about bullying and physical abuse, but from the adults that are supposed to look out for you. Emily, “Emma” has worked really hard to create a facade of indifference to all the students around her. She is counting the days to her “liberation”. The day when she graduates from high school and is able to go to college. High school housekeeping: I looked and I have one copy at Chaffey, none at Colony. So I’m adding it to my ‘purchase ASAP’ list. I also see that it is the first book in a series, so if you also enjoy it, I’ll get the sequels. –Ms. W.
This entry was posted in Family Problems, Fiction, Mature Readers, Sports, Young Adult Literature and tagged basketball, book reviews, bullying, child abuse, child-parent relationships, children of alcoholics, soccer, sports, YA fiction, YA literature. Bookmark the permalink.